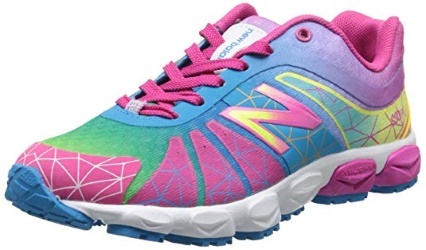 Parents must know that a typical good quality running shoe for kids is not all about how frenzy, cool and trendy it looks, but a lot more than that. There are certain features that the shoe must have to ensure high-performance. Some of these features include breathability, protection, durability, flexibility and adequate cushioning. However, as you may already know, there are tons of kids’ running shoes available in the stores and all of them claim to be the best. So figuring out which one is actually good sure requires some research. 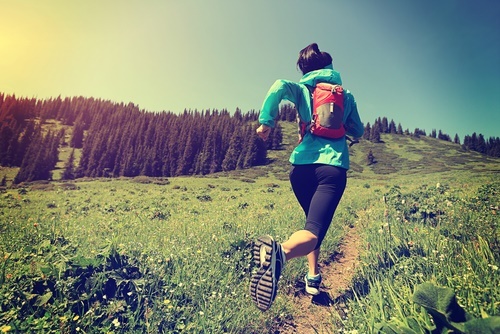 Breathability – Always look for shoes made from lightweight materials such as breathable synthetics, mesh, and other fabrics. As a result, it will enable proper air ventilation around the feet and avoid the uncomfortable consequences of a sweaty and smelly foot. Protection – Those adorable little feet deserve a high level of protection, even more if you have hyperactive kids. That’s because hyperactive kids often spend time running, jumping, climbing and jogging. As these activities make-up a larger part of their day, it is necessary to keep their tiny feet protected. Some examples of good shoes are ones with sturdy and durable outsoles. Durability – As a parent, you wouldn’t want to replace your kid’s pair of shoes every now and then. Apart from the cost involved in doing that, you may also not have the time for it. As hopping from one store to another requires a lot of time. Therefore, finding a durable shoe that lasts longer is better as then every cent spent on your kids’ shoe is worth the price paid for it. So, if you get your hands on something that’s a wee bit expensive but durable, then consider it to be an investment and go for it. Support – Kids’ feet are very tender and beautiful, so it’s very important for parents to ensure that their kids are wearing the right set of trainers. The ideal ones are those that will help them grow and develop strong and healthy feet. Therefore, the shoes must offer adequate support to their ankles, heels, and feet. The kids’ running shoes should also be able to give them optimum shock absorption and adequate heel stability that the situation demands. 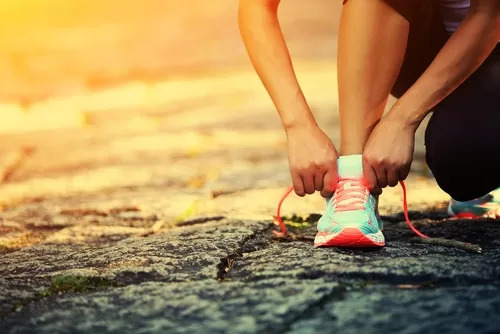 Fit – A proper fit ensures that your kid goes about his daily activities such as running to catch the school bus, jumping over the fence, or climbing trees in the garden without any fear. The shoe must have a spacious toe box that gives it enough room for the movement of toes. This is to avoid an uncomfortable and clinched feel in the feet all day. Properly knitted shoelaces also contribute to the shoes’ fit. Getting the best running shoes for your kid goes a long way in helping them perform better in sports and other activities. You can count on the products listed by us because many people highly recommend these products. So, the below-mentioned products may turn out to be your best bet. This is a beautifully designed product in terms of style and color. This product uses the ABZORB technology, and as a result of its lightweight design and comfort, it gives that much-required glove-like feel. Also its padded tongue and collar are designed to prevent it from scuffing around the lower ankle, thereby offering a sort of comfort. The heel cushioning helps minimize the shock resulting from the impact of hitting the ground while running. Also, the strong synthetic material ensures the foot’s security, which is guaranteed by the support given to the heel. 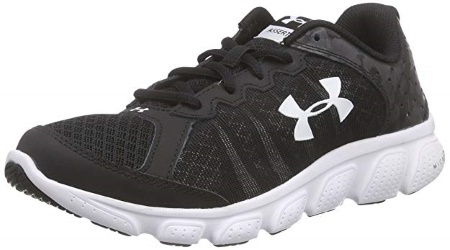 Above all, the shoe’s mesh upper is built to provide a great deal of breathability, while the synthetic material keeps your kid’s foot secure. ASICS built this design to offer top-quality support and comfort to children who pick an early interest in sporting activities like running. The sole of this shoe is made from a material that’s of higher quality than the usual rubber soles found in other shoes out there. Its rubber sole also has a good grip and it won’t let your kid down when it is most-required to keep him from falling on a slippery terrain. However, one of the many reasons for this shoe to sell more than the rest are the various colors and styles in which it is available. Also this shoe comes with a durable, removable insole that allows easy cleaning. This model is designed to comfortably fit the little feet of your young athlete. The velcro hook and loop closure makes it easy enough for pre-teen kids to slip it on and off. The memory foam insole inside the footbed provides optimum comfort for the little, tender feet. Finally, a tough leather mesh ensures that this shoe withstands any abuse from hyperactive kids. In case your kids like to go with it in the pool, you can be assured that nothing is going to happen to these machine-washable shoes. Besides, this shoe also comes with an antimicrobial lining that keeps away bad smells. Adidas designed this creative model with a touch of perfection. 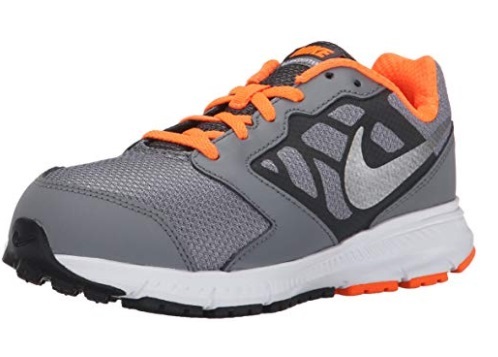 Its lightweight design along with the cushioning provides your kids with maximum support while making a stride. This shoe also withstands the rigorous exercises or sporting activities that your kids get involved in. The synthetic textile used in its overall design gives the shoe its lightweight nature. 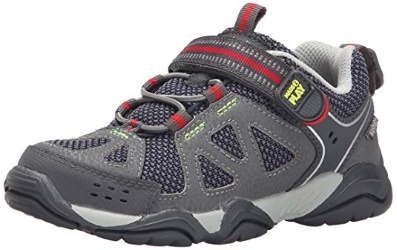 Moreover, this shoe’s optimally cushioned midsole gives stability to your kid’s feet by evenly distributing the impact around the foot while they engage in any activity. Also, its padded tongue and collar adequately support the ankles to form a flexible and secure fit. This shoe is built to offer top-of-the-line cushioning for kids who engage in everyday hyper activities. 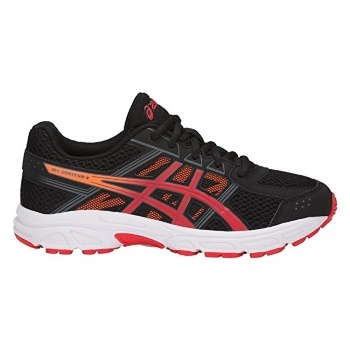 Its upper is made of mesh material and along with its cushioning system provides maximum breathability and comfort. The lightweight midsole also contributes in no small measure to the comfort that this shoe offers. To sum it up, a mix of textile and suede is used in its design to enable the shoe to withstand daily wear and tear while its padded textile collar guarantees security and proper fit around the ankle. 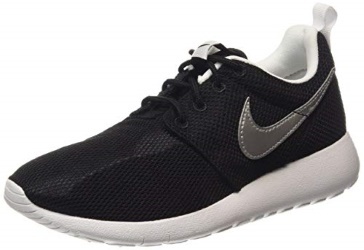 Nike Roshe One is made available in diverse colors and style. Under Armour model has designed this shoe to be a winner when it comes to durability, comfort, and style. Its upper consists of a breathable mesh and a foam layer snuggled in-between. The leather overlays wrap around the body of the mesh upper to give more stability. Under Armour uses the Micro G Foam technology to work on the shoe in order to make it extremely lightweight. In this shoe, athletes find their feet to be much closer to the ground because of its thinness. As a result, this shoe provides great responsiveness. Also this shoe’s footbed has anti-odor technology built inside it. That definitely helps reduce the odor-producing microbial growth. Therefore, your kid’s feet will be energized and protected with Micro G Assert 6 on. To withstand the frequent use and abuse by the naughty kids, this shoe is creatively designed to be lightweight, supportive and comfortable. Also, it comes with an asymmetrical lacing system that minimizes pressure on top of the foot while giving stability to the midfoot area. It also produces that sock-like fit enabled by its mesh upper that acts like a sleeve that wraps around the foot stylishly. The ultra-light, flexible underfoot unit ensures that your kid enjoys a more natural stride that resembles a barefoot gait. Finally, parents need not worry about this shoe’s durability as Nike uses its latest technology to build this sneaker to be able to withstand extreme use and abuse. This shoe model is custom-made for growing kids to experience best of comfort and for optimum arch support. Also this shoe is ideal for kids who need orthotics in their shoes. That’s because it allows orthotics to be inserted into it as it comes with a removable sock liner. Above all, there is enough room in the toe box to accommodate feet with varying degree of widths. Finally, the silicone-based gel in its midsole’s cushion helps absorb shock from the impact caused during those energetic activities. 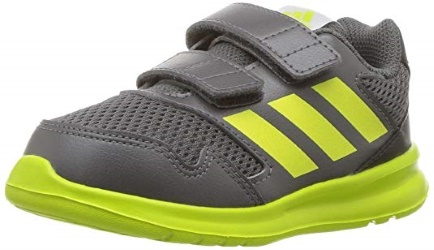 Adidas designed this eco-friendly trainer to naturally gel with your kid’s feet while being lightweight and breathable. 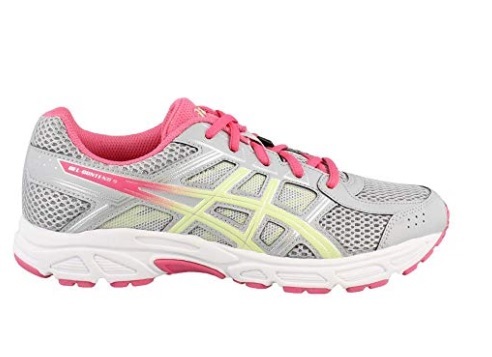 It comes with the mesh upper that keeps the feet moisture-free and gives exceptional comfort and fit. The Eco OrthoLite sock liner’s foam is eco-friendly and therefore lets the parents buying this shoe contribute towards the conservation of natural resources. That’s because this eco-friendly shoe contains twenty percent lesser petroleum content. 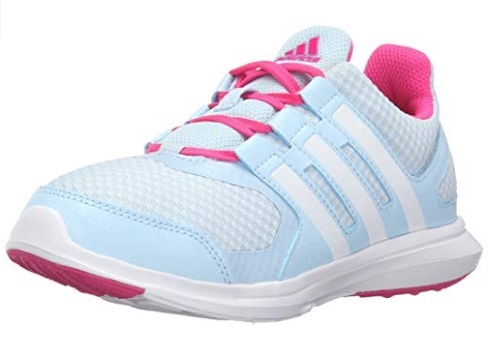 As a result, the Adidas Altarun K provides extreme comfort for your kids. 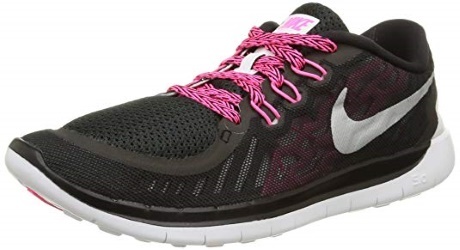 This Nike model is ideal for active kids that participate in various sports and activities, having an inclination towards running. It comes with a lightweight and seamless design and a sole that has flex grooves that ensure proper traction and stability on various terrains. Nike Downshifter 6’s seamless design gives it the ability to prevent unnecessary rubbing that causes blisters while running. Therefore, a shoe made from a breathable material that allows proper aeration around the feet would be your best pick. Also you need to ensure that it provides adequate support and protection to the kids’ feet. We’ve researched all the above-mentioned products based on customer reviews and customer feedback to help you figure out the best shoes for your kids.